Anton Otteni, the progenitor of most Ottney family members in the United States today, was born in Urloffen, Germany on 25 Feb 1786. Anton's ancestors on his Otteni side can be traced back to his Great Great Grandfather, Hans George Otteni, who was born in 1655. 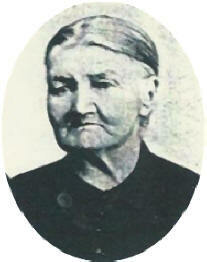 Anton married Barbara Schneider on 4 Jun 1810 in Urloffen, Germany. Per the Digital State Archives of Baden-Wurttemberg, State Archives Freiburg, Germany, Birth Records of Urloffen 1787 (now Appenweier), page 517, entry 50, Barbara is the daughter of Johann Georg Schneider and Maria Salome Wreath. Per the Urloffen, Appenweier Germany Catholic Church Marriages, 1810-1869, Book No. 3730, Page 6, Entry 10, Barbara's mother is Sabine Krieg. Because these records are written in either Latin or old German script, translation is sometimes incorrect. "Krieg" could be "Kranz". It may be that Barbara's mother was remarried when she married Anton. At the age of 45, Anton and his sons Joseph and Anton, Jr. sailed to the United States. They departed Europe in the ship "Index" from Le Havre, France and arrived on 11 Jun 1832 at port of New York, New York. The New York Passenger list from 1832 recorded "Antoine Ottini" as the passenger, but it was common only to list the head of family and males over 16 on a ship manifest. It is assumed that Barbara and the rest of the children sailed to the United States at the same time. The family first settled in New York state but later moved to Sandusky County, Ohio. 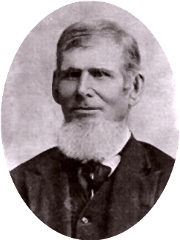 Anton's son, Anton "Anthony" Ottney, Jr., either stayed in New York or returned to New York since he and some of his children are buried in Erie County, New York. Some later generations moved and settled in Eaton County, Michigan and Canada. According to German records, the family name was OTTENI. Most of Anton's family ended up spelling the family name OTTNEY. The vowel ending of the original OTTENI name suggests that the origin is other than German. As German family lore endorses, and the spelling indicates, the name and family most probably came from Italy. There is some indication that the family moved from the Lombardy region in northern Italy to Germany during the era of large church construction in southern Germany since the family were stone masons. From the German book "Heimatbuch der Gemeinde Urloffen" (Home book of the community Urloffen), the author writes that the Otteni family settled in Urloffen Germany about 1676, indicating a move to this area of Germany. There are families in the United States and Germany that still spell their name OTTENI.